The Remora GRP-EX range of enclosures are available pre-assembled and are readily available from stock. The GRP-EX enclosures are ideal for uses such as lighting, power and instrument junction boxes. 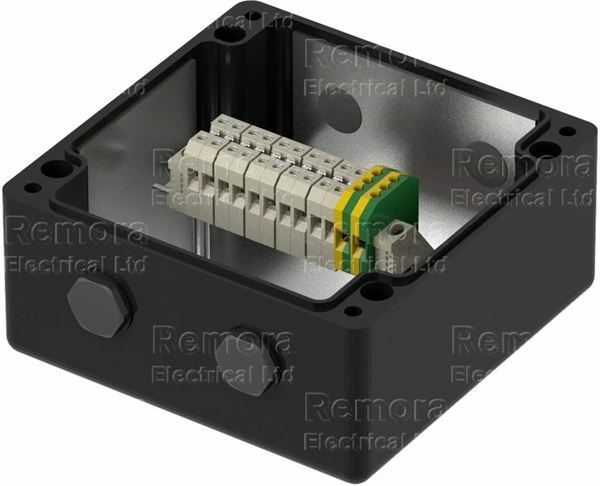 Each enclosure comes pre-drilled with M20 tapped cable entries and is supplied with certified blanking plugs. GRPEX range of enclosures are ATEX and IECEx certified Ex’e’ and are suitable for use in Category 2 Zone 1 & 21 and Category 3 Zone 2 & 22 areas according to EN 60079-14.